A stock photo of an NS EMD SD70ACU. Photo: Michael Hoskins. Progress Rail has secured a contract to supply 30 upgraded EMD SD70ACU locomotives – otherwise known as modernised versions of the SD90MAC model – to Canadian Pacific. 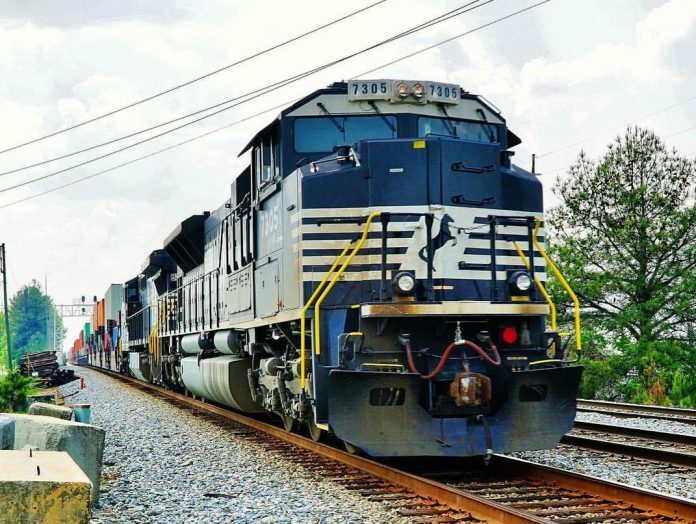 The 30 units will be modernised at Progress Rail’s facilities at Mayfield, Kentucky, and Muncie, Indiana. The fleet will receive new traction control systems, and new cabs that meet the latest crashworthy standards. All major components, including the existing EMD 710 engine, will be remanufactured for optimal performance and reliability. The upgraded locomotives will be delivered in 2019. Progress Rail executive vice-president of rolling stock Marty Haycraft said: “Fleet modernisation provides the railroads with the opportunity to upgrade their locomotives with today’s technology to continue going the distance.